At Boparan Restaurant Group our people are the heart and soul of our business. It goes without saying that, as a group, we couldn’t have achieved what we have so far without the amazing people that make up the teams in our HQ and restaurants, helping us to deliver incredible food and service to our guests every day. Our aim is to create a team of people that share our obsession and who have a passion for what they do. We don’t look for clones, for us it’s all about individuality. We want people who are creative, ambitious, and who like to mix things up a little. We believe enthusiasm and positivity are infectious and that can only be a good thing to share. We operate a diverse array of brands, each with their own unique feel and way of working. Our formats cover quick-service (QSR), assisted-service (ASR), and full-service restaurants, from fast food, to casual dining and premium dining. Each brand and style of operating presents its own challenges and opportunities for you to develop your career with us. Giraffe STOP offers a grab-and-go and assisted service restaurant. Open morning, noon and night we serve up everything from breakfasts, toasties, burgers and all-American hot dogs to fresh juices, salads and delicious chilli bowls. 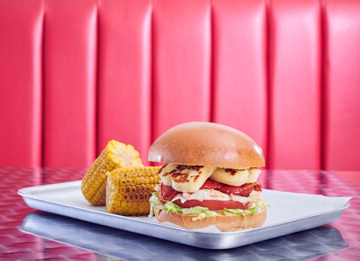 Ed’s Easy Diner has been hustling and bustling since it opened its doors in 1987 in Soho, and we now have diners spread across London and the rest of the UK. 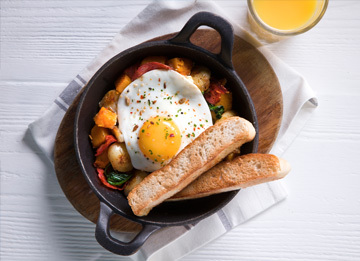 Ed’s is for diners who like their diners sunny-side up! A little rose-tinted, a lot awesome. All the best bits in one beautiful package. We’re sharing the love. We’re living the dream. Ed’s Easy Diner has been the place to get awesome burgers, the coolest shakes, and mouthwatering American style desserts while you kick back enjoy the sounds of the jukebox. We believe in four things – Pop, Escapism, Good Vibrations and Generosity, and we are always on the lookout for people to join our Ed’s Team to help share the sunshine. We don’t take ourselves too seriously but we do take what we do very seriously indeed. At Harry Ramsden’s we concentrate on what we do best, which is ensuring that the same Harry Ramsden’s recipes and tradition are delivered in the same way they would have been when Harry started the business in 1928. We’re proud to be Britain's oldest restaurant chain, with a history of friendly and welcoming staff who strive to create the perfect customer experience. It's down to the passion of our people that we've been able to continue serving our guests for so long...they love what they do, and it shows! Here at Slim Chickens we provide Southern U.S.A hospitality to our guests by serving fresh, hand breaded and cooked-to-order chicken that is so delicious, it is life changing. Our food is honest, meals are social, and the door is always open. We know that the experience our Guests receive will only be as good as the people who deliver it, and this is where you can get in on the action! Our roots run deep in the Southern U.S where food is honest, meals are social, and the door is always open. We started with a mission to bring a dose of that southern hospitality to a fast, casual setting - serving fresh handmade food to local communities. Our startup story is pretty simple. 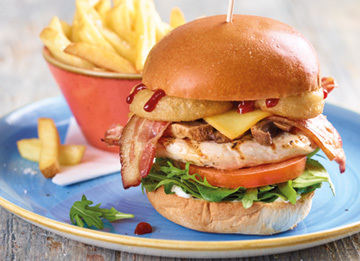 It all started with a craving for a quick quality meal - fresh chicken cooked to order. When we discovered there was a niche to fill, we rallied where lots of great startups begin, from our garage! Tireless testing and a laser focused vision launched the first Slim Chickens restaurant in Fayetteville, Arkansas, 2003. Now over a decade and thousands of happy customers later, we know that there's something special about our hand-breaded chicken tenders, fresh Buffalo wings, and handmade dipping sauces that keeps our loyal fans coming back...over and over again. Customers tell us that Slims has changed their weekly routines -- that our food was simply life changing, and that they can't get enough. No joke. We strive to return that enthusiasm by giving back to the communities we serve - helping local non-profits with fundraisers, donating food to communities we serve - helping local non-profits with fundraisers, donating food to community events, and doing everything we can to improve the lives of people in the communities where we live and work. 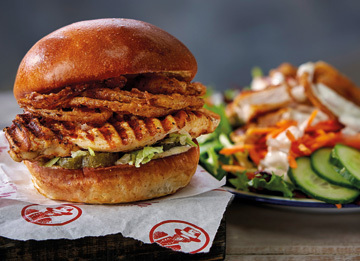 In more ways than one, Slim Chickens is truly Life Changing Chicken. FishWorks is an award-winning London restaurant group, we’re open in Swallow Street and Marylebone doing what we do best – sourcing, preparing and serving the freshest and best seafood in town. We believe the secret to perfect seafood is cooking it simply and seasonally. We work closely with our suppliers, talking directly with fishing boats and South Coast fish markets who deliver us the freshest catch daily. 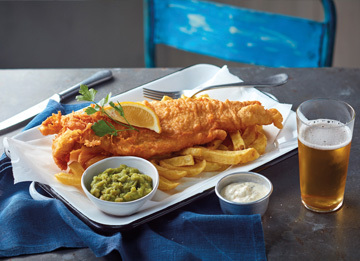 Our restaurants are proud to ensure our seafood is only sourced from well-managed and sustainable fisheries. 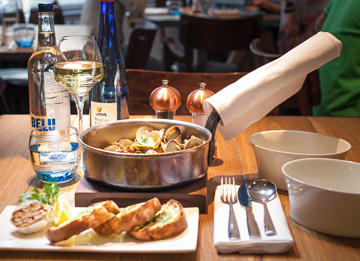 Our restaurants are located in London and are designed especially for seafood lovers: Marylebone High Street and Swallow Street near Piccadilly. We believe in providing the freshest and highest quality seafood to each of our valued customers, delivering the finest dining experience possible with our passionate team. You will find a wide variety of fresh fish, caught within the season. Our fishmongers provide the expertise to make seafood accessible to everybody, every day. Our promise to deliver the best experience possible is something that we never compromise on.